This ICEHOTEL is an annual project in the village of Jukkasjarvi. Every suite is specially made by artists who submit their ideas and have them selected by a jury. There are fifty artists in total that create the church, icebar, reception area, main hall and rooms. Of course, like all art, it is sadly temporary, and it melts every spring in the Torne River. I thought that this ICEHOTEL looked familiar, and you might recognize a similar ice hotel in the James Bond movie Die Another Day. The movie was not filmed there, but it was the inspiration. After the jump, read more about another ice hotel in Romania. 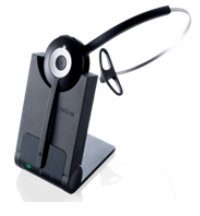 Normally, Jabra creates a lot of Bluetooth headsets and occasional speakers, but the PRO 930 is designed for telephony services like Skype. The PRO 930 comes with a stand that can be plugged into a computer for charging and syncing. Not only is it good to use with an adjustable headband for a good fit, but the PRO 930 also has an earpiece that can snap on so it looks like a usual Bluetooth headset. Other features of this device include a dedicated button to answer calls, as well as volume controls. It also has a convenient noise canceling microphone that eliminates ambient background noise, like in a busy office environment. All right, the Iranians might have shot down one of those drones from the US, but we are quite sure the US Army is already light years ahead in terms of technology as well as next generation drones. In fact, the US Army recently tested a helicopter drone that would make for the perfect spy machine – especially when it sports a 1.8-gigapixel camera on it. This drone aircraft is capable of hovering around, and will not require a runway in order to take-off or land, now how about that? This particular technology employed promised “an unprecedented capability to track and monitor activity on the ground”, where another three of these sensor-equipped drones are on track to see action in Afghanistan in either May or June next year. While Boeing was first off the blocks in building these drones, other firms are still able to throw in their bid to manufacture the rest. It will take a year of deployment in order to learn all that they can about the drone, its capabilities and limitations, resulting in a record compilation that will pave the way for a superior model down the road. Sirius XM Radio has just announced the Lynx Portable Radio, touting this to be the first SiriusXM 2.0 radio which delivers spanking new features and receives an expanded channel lineup over satellite and Internet connections. 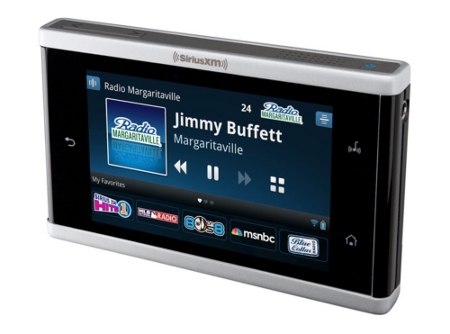 Lynx is said to be the most advanced radio to date from SiriusXM, where it is full well capable of receiving the new expanded SiriusXM 2.0 channel range of commercial-free music, sports, and comedy, where among them include SiriusXM Latino – a totally new suite of Spanish-language programming. Lynx was constructed with a flexible architecture that will pave the way for new features and capabilities that can be added via the path of software updates. SiriusXM 2.0 is said to be a major upgrade and evolution of SiriusXM’s satellite and Internet delivered service, and the ultimate goal would be to see this particular service span across hardware, software, audio, and data services. For those of you who desire to take their iPhone 4/4S underwater to about 100 feet should look into this Professional Grade Underwater Housing. This FourPro mount allows you to place the iPhone 4/4S in a waterproof housing, and it comes with some handles made of Teak that will give the user the opportunity to have a more stable shot. The design reminds me of the OWL-E iPhone video/audio rig that we reported on a while ago. This is yet another one of those Kickstarter projects, which means that they need your money to get this gadget up and running. If you want to see more information about it, go to the FourPro Kickstarter page and see a little video. Some of you might remember when we covered the Kube 2 Player, and how that there is still a market for small MP3 players. As long as there small MP3 players, there will be a market for small MP3 player speakers. This particular one is known as “The Pill”, and it is from a Singapore company known as Gavio. There really isn’t much that my Source says about the Pill, other than it is a 5.8 inch speaker system designed for the iPod nano 6th Generation.